Rutgers University Dance Marathon (RUDM) is the largest, student-run philanthropic event in New Jersey. RUDM’s mission is to provide emotional and financial support for children who are a part of Embrace Kids Foundation. 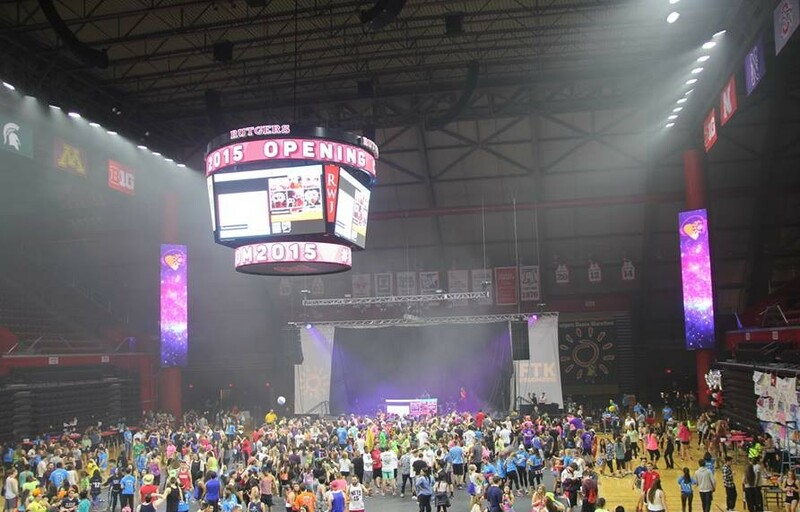 RUDM participants dance to help raise funds and awareness that goes towards Embrace Kids Foundation’s mission to support the non-medical needs of children with cancer, sickle cell, and other serious disorders. RUDM is not limited to one weekend in the spring semester. It is a year-long effort to raise funds and awareness for children with cancer, sickle cell and other serious health challenges. Children and their families who are a part of Embrace Kids Foundation are paired with fraternities, sororities, and student organizations across Rutgers University through the RU4Kids program. The pairing ensures children and their families have a support system at the University , and feel as they are a part of the Rutgers community. Our efforts culminate in a weekend of a no-sitting, no-sleeping, Dance Marathon! The event takes place at the Louis Brown Athletic Center (the RAC) and brings together over 2,000 people, including dancers and volunteers. 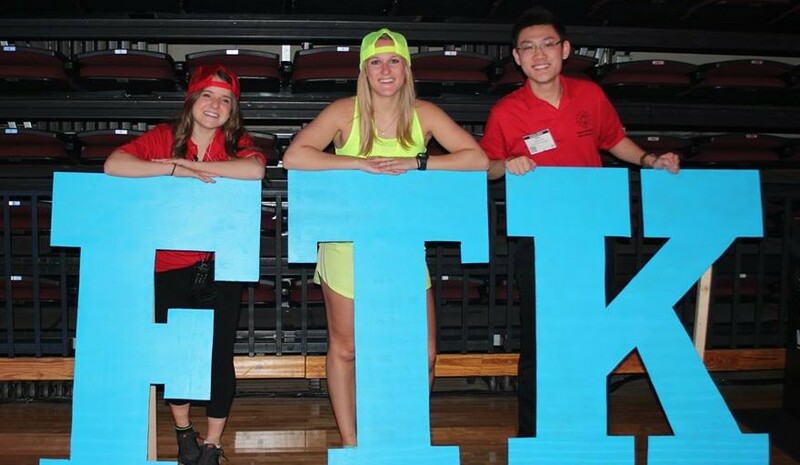 In 2019, RUDM raised a record-breaking $1,120,205.48 and 100% of money raised went to Embrace Kids Foundation. Since 1999, RUDM has raised over $9 million for Embrace Kids Foundation. The money raised has helped countless families in the tri-state area cope with the numerous challenges of pediatric cancer. All the money RUDM raises goes directly to Embrace Kids Foundation and helps support the non-medical needs of children with blood disorders and cancer. 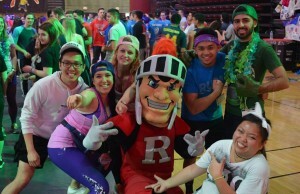 Rutgers University Dance Marathon is not just another event at the University. It’s a tradition that has far-reaching effects into the community. It’s a tradition that brings the Rutgers community together. It’s a tradition that benefits a marvelous cause. It is a tradition that we hope you take part in. If you have any questions, please email info@marathon.rutgers.edu.